Two fundraisers are being planned by supporters of Justice Bertina E. Lampkin's bid to remain on the Illinois Appellate Court, and the first of these is coming up soon. On Wednesday, September 30, from 5:00 to 7:00 p.m., Lampkin's supporters will host a reception for their candidate at the law firm of Tabet DiVito & Rothstein, 209 S. LaSalle, 7th Floor. Tickets for this event are priced at $100 each (but other contribution levels are suggested, whether $250, $500, $1,000, $2,500 or $5,400). The second fundraising event will be held at Petterino's, 50 West Randolph Street, on Thursday, October 15, from 5:30 to 7:30 p.m. Mayor Rahm Emanuel will be the Honorary Chair for this gathering. Tickets for the Petterino's event are priced at $150 each and sponsorships are available as well (Friend - $250, Supporter - $500, Host - $1,000, Co-Chair - $2,500, or Chair - $5,000). For more information about either event, or to order tickets, email Kelly McKevitt at kmckevitt@newchicagollc.com, or call her at (312) 448-8014. Monica M. Torres-Linares is circulating petitions to run for a countywide judicial vacancy, according to this Facebook page. There's no campaign website yet, at least none that I've found, but when and if one is set up, her name will be added to the candidate list in the blog Sidebar. Licensed as an attorney in Illinois since 2003, Torres-Linares is the Managing Counsel of Justicia Attorneys/ Abogados, a firm which focuses, according to a campaign biography accessible through her Facebook page, on "Criminal, Family and Immigration Law, particularly in working-class and Latino communities." A former president of the Hispanic Lawyers Association of Illinois (2008-09), Torres-Linares ran for the Cook County Board in the 2010 Democratic Primary, unsuccessfully taking on Jerry "The Iceman" Butler, but winning a number of prestigious endorsements, including the endorsement of the Chicago Tribune in the process. According to her campaign bio, Torres-Linares was "a founding board member of Legal Prep Charter Academies, a legal-themed charter high school on Chicago's west side, and currently serves on the Local School Council for Murray Language Academy, a CPS school on the south side." The campaign bio also notes that Torres-Linares "hosted the show 'Political Forum' for two years while serving as a board member for CAN TV" and that she provides pro bono work for Catholic Charities Legal Assistance, Cook County Elder Justice Center, the Resurrection Project, The Mexican Consulate and LUCHA. Appellate Court Justice Bertina Lampkin was recently endorsed by the Cook County Democratic Party in her bid to keep the Appellate Court seat she now holds pursuant to Supreme Court appointment. Justice Lampkin's campaign committee has launched her campaign by circulating a campaign biography. The biography notes her service on the Appellate Court since 2009, where she has "authored over 400 Opinions and Orders." Before being assigned to the Appellate Court, Lampkin was a Supervising Judge in the Criminal Division of the Circuit Court of Cook County, trying felony cases, "including many death penalty eligible cases," and supervising five to eight other judges. 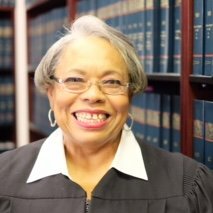 In 1996 and 1997, Lampkin served as Supervising Judge of Domestic Violence Courts, hearing domestic violence cases and reviewing "over 1,000 emergency orders of protection." She became an Associate Judge in 1987 and was elected to the Circuit Court bench in 1992. Before becoming a judge, Lampkin served as a Senior Attorney in the Office of the Corporation Counsel. 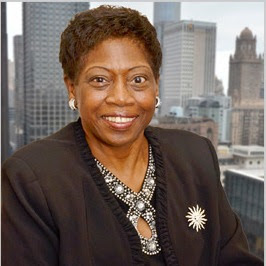 Lampkin began her legal career in 1974, after graduating from DePaul University Law School, serving from 1974 to 1985 as an Assistant Cook County State's Attorney. 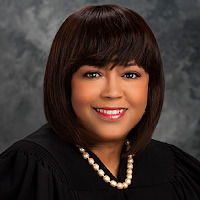 Among the many awards and honors received by Justice Lampkin in the course of her career are the 2010 Judicial Award, from the Cook County Bar Association, the 2010 C.F. Stradford Award from the Cook County State's Attorney's Office, and the 2002 Mary Heftel Hooton Award for Service to the Profession, conferred by the Women's Bar Association of Illinois. Justice Lampkin's community involvement includes her longtime service at Saint Paul CME Church, as "Steward, Sunday School Teacher, Director of Praise Dance Ministry, Tutor of children and young adults for nationwide Bible and Church History Contests." Lampkin's campaign biography notes that James D. Montgomery, Sr., Jerry Latherow and Retired Appellate Court Justice Gino DiVito are serving as Co-Chairs of her Campaign Committee. A commenter pointed me to Facebook this morning, where Judge Marc Martin reports that 11th Subcircuit committeemen slated him and Judge William B. Sullivan for the two vacancies in Cook County's 11th Judicial Subcircuit. 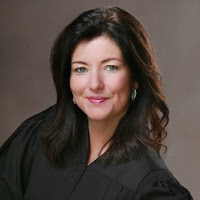 According to the Elect Judge Marc Martin Facebook page, Joanne Rosado, an Assistant Public Defender who sought an 11th Subcircuit vacancy in 2014, has been named as an alternate, meaning that she would be pre-slated in the event another 11th Subcircuit vacancy should open up in time for the 2016 primary and perhaps meaning that she will be an early favorite for slating whenever another 11th Subcircuit vacancy opens (assuming, of course, that she does not run against the Party now). A helpful commenter tipped me off on this, citing to this issue of The Progressive, the electronic newsletter of the Democratic Party of Oak Park. A meeting of the committeemen of the 11th Judicial Subcircuit will take place on Saturday, September 19 at 1:00pm at the DPOP office, 1243 Woodbine in Oak Park to consider candidates for 2 vacancies for Judge of the Circuit Court, 11th Judicial Subcircuit. Anyone interested in appearing before the endorsement committee is welcome to attend. Please call DPOP at 708-386-0090 or email dpop@donharmon.org if you wish to be scheduled. Found on the Internet, the campaign website for Judge Freddrenna M. Lyle. That's a link to the campaign website in the preceding sentence; a link has been added to the blog Sidebar. Judge Lyle currently holds the Stuart vacancy in the 5th Subcircuit pursuant to appointment by the Illinois Supreme Court and, from the campaign website, it appears that Judge Lyle intends to seek election to this vacancy. Lyle has previously served in other vacancies pursuant to Supreme Court appointment. She was appointed to a 2nd Subcircuit vacancy in 2011. She was later assigned to a vacancy in the 7th Subcircuit. Judge Lyle was slated for an Appellate Court vacancy by the Democratic Party for the 2014 Primary. Before joining the judiciary, Lyle served as Alderman and Committeeman of Chicago's 6th Ward. Lyle's website notes that she served as President of the Cook County Bar Association in 1990. Her campaign website notes that she has been the recipient of numerous awards in the course of her career, including the Kizzy Image and Achievement Award; the Ralph Metcalfe Award, conferred by Black Contractors United; an Outstanding Woman Award, presented by Women in NAACP; and a Woman of Distinction award, presented by Rainbow PUSH. She lists membership in several civic organizations, including the Park Manor Neighbors, Chatham Avalon Park Community Council, Rainbow PUSH, and the NAACP. James E. Hanlon, Jr., recently slated by the Democratic Party for the "A" vacancy in the 12th Subcircuit, has a campaign website up and running. That's a link to the site in the preceding sentence; a link has also been added to the blog Sidebar. Hanlon has worked as Director of Client Development and Director of Knowledge Management for Novus Law LLC since 2010. He had a solo law practice between 2008 and 2010 and, before that, was an equity partner in two Big Law firms, Howrey, LLP (in the Global Litigation Group) and what is now called Katten Muchin Rosenman LLP. He has been licensed in Illinois since 1984. Hanlon has served as a Trial Coach for the Chicago Coalition for Law Related Education program (working on Theodore Roosevelt and Hubbard High School's Mock Court Team) and as a mentor Mentor in the Illinois's Supreme Court's Lawyer-to-Lawyer Mentor Program. He is a former President of the Northbrook Hockey League and the Glenbrook North Spartan Hockey Club. Found on the Internet, the campaign website of Judge Eve Marie Reilly, appointed by the Illinois Supreme Court to the Howard vacancy in the 10th Subcircuit but passed over by 10th Subcircuit committeemen at their recent slating meeting. That's a link to the campaign website in the preceding sentence; a link has also been added to the blog Sidebar. Readers will recall the 10th Subcircuit slatemakers named Reilly as an "alternate," meaning that the Party would support her if another vacancy opened up. Now -- this is just the blogger speaking here -- and I want to make that clear because, as of this writing, I've not been contacted by Judge Reilly or anyone on her behalf -- it sure looks like she's not going to wait around and see if that speculative contingency occurs. Reilly's campaign website notes that she worked her way through John Marshall Law School as a law clerk for the firm of Patricia C. Bobb and Associates. 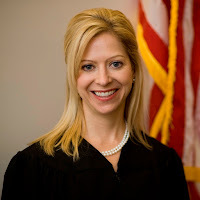 After obtaining her license in 1997, Reilly went to work for the Cook County State's Attorney's Office, remaining in that office until her appointment to the bench in August 2014. According to her campaign website, Reilly supervised ASA's "in the prosecution of criminal appeals before the Illinois Appellate and Supreme Courts" from 2006-2012. Her campaign website lists Mike Demetrio, of Corboy & Demetrio, as her campaign manager; Mike Kasper as her campaign legal advisor; and Mike Tierney as her campaign consultant. Corboy & Demetrio administrator Marcy Twardak is listed as the campaign treasurer. Found on the Internet, the campaign website of Mary Alice Melchor, candidate for judge in Cook County's 5th Judicial Subcircuit. That's a link to the campaign website in the preceding sentence; a link has been added to the blog Sidebar as well. Licensed in Illinois since 1992, Melchor is currently Inspector General for the Clerk of the Circuit Court, focusing, in that capacity, according to her campaign website, "on the concerns of citizens who feel they have not been treated fairly in the court system or the Clerk’s Office." The campaign website adds, "The Office of the Inspector General (OIG) includes the Investigations Department and the Audit Services Department of the Clerk’s Office. The departments investigate concerns from outside agencies, the general public, customers and employees as they relate to the Clerk’s Office." 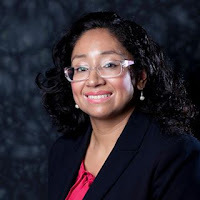 Before joining the Clerk's office, Melchor worked as an attorney in private practice and also as house counsel for Liberty Mutual and the Chicago Housing Authority, according to her campaign website. Before becoming a lawyer, the campaign bio on her website notes, Melchor was a special education teacher in Chicago for 12 years and the owner and manager of an insurance agency for 10 years. Melchor was President of the Black Women's Law Association of Greater Chicago in 2008-09 and still serves on the board of that organization. She has also served as a board member for the Cosmopolitan Community Church of Chicago for over 25 years. Melchor ran for a countywide judicial vacancy in the 2014 primary. A campaign website has been established for Judge Carrie Hamilton, appointed by the Illinois Supreme Court to the 12th Subcircuit Tristano vacancy this past July and recently slated for that position by the Democratic Committeemen for the 12th Subcircuit. That's a link to the site in the preceding sentence; a link has also been added to the blog Sidebar. Licensed as an attorney in Illinois since 1996, Hamilton spent the last 14 years as an Assistant United States Attorney, prosecuting high-level corruption cases and rising, according to her campaign website, to Deputy Chief in the Public Corruption Section of the U.S. Attorney's Office. She was one of the lead prosecutors in the Rod Blagojevich case. At the time of her appointment to the bench, according to her campaign website, Hamilton was "prosecuting the case against Former U.S. Speaker of the House Dennis Hastert as well as the case alleging corruption in the awarding of the City of Chicago’s red light camera contracts." In addition to her work in corruption cases, Hamilton, "led a federal program on combating prostitution of minors and served as the coordinator for federal programs related to child exploitation, child prostitution, human trafficking and violence against women." She has also prosecuted a wide variety of cases, including violent, gang-related crimes, according to her campaign webiste. 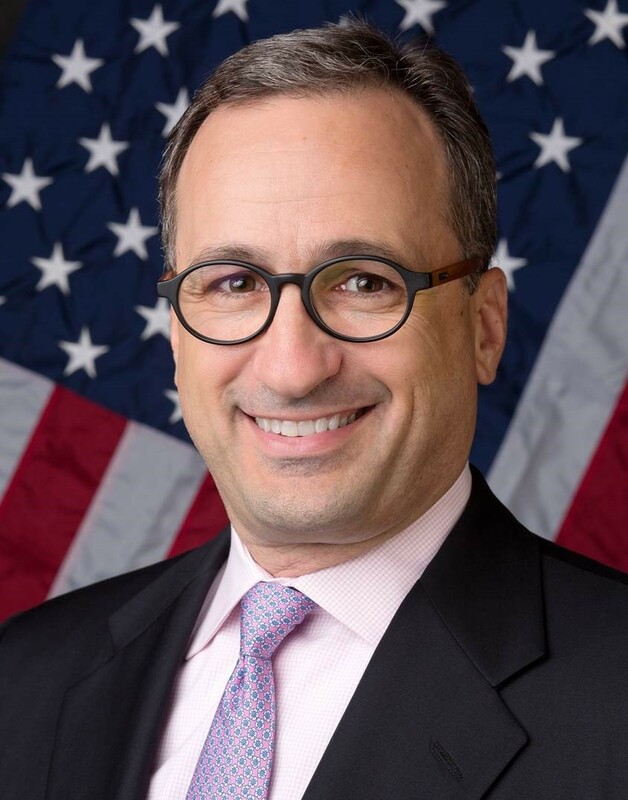 Hamilton has also served as adjunct professor at the Northwestern University School of Law’s Trial Advocacy Program and has served as a trial advocacy instructor at the Department of Justice’s National Advocacy Center. She has also served as a board member for the James B. Moran Center for Youth Advocacy. Supporters of Judge Anna Maria Loftus's bid to retain the 6th Subcircuit seat to which she was appointed in April 2014 have launched a campaign website for their candidate. That's a link to the website in the preceding sentence; a link has also been added to the blog Sidebar. Loftus's supporters have also scheduled a fundraiser for their candidate, on Thursday, September 24, from 5:30 to 7:30 p.m., in the 34th Floor Amenity Center at 200 S. Wacker Drive. Tickets for the event, which will be hosted by Hall Prangle and Schoonveld LLC, are $100 apiece. Sponsorships are also available (Bronze - $250, Silver - $500, Gold - $1,000). For more information about the event, or to order tickets, email khull@hpslaw.com. Loftus began her legal career as a law clerk to then-Appellate Court Justice Michael J. Gallagher. From there, Loftus went to Peterson and Ross, before joining Hall Prangle. At the time the Illinois Supreme Court appointed her to the bench, Loftus was the hiring partner at Hall Prangle. According to her campaign website, while at HPS, Loftus also defended hospitals, doctors and nurses in complex medical malpractice suits. She has been licensed as an attorney in Illinois since 1998. According to her campaign website, after graduating from the University of Michigan (in 1991), and before attending law school, Loftus "began her career in Chicago at a national non-profit organization to prevent child abuse and neglect where she helped coordinate an international conference welcoming over 2500 participants from 72 countries. Next, she coordinated the development of comprehensive home visiting programs for new parents in Chicago and in communities across the country." The honorary Co-Chairs of the Loftus campaign are Joseph A. Power Jr. and Jesse H. Ruiz. Democratic Committeemen in Cook County's 12th Judicial Subcircuit have voted to endorse Judge Carrie E. Hamilton for the Tristano vacancy and James E. Hanlon, Jr. for the "A" vacancy in that subcircuit. Judge Hamilton currently holds the Tristano vacancy pursuant to appointment by the Illinois Supreme Court. 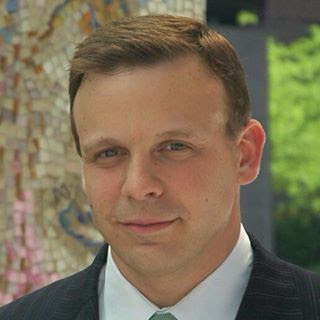 Hanlon was a candidate for the Jordan vacancy in the 12th Subcircuit in 2014. According to an email provided to FWIW from Northfield Township Committeeman Mike Kreloff, should an additional vacancy open up in the 12th Subcircuit in time for the 2016 Primary, Louis Apostol would be "strongly considered" for endorsement -- assuming he does not run, or circulate petitions to run, against Hamilton or Hanlon. Ralph Meczyk also appeared before the 12th Subcircuit Committeemen, according to Kreloff's email. 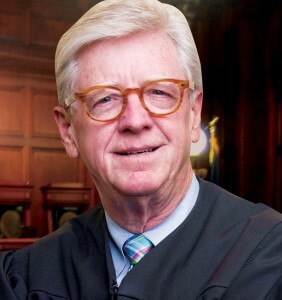 Supporters of Judge John Fitzgerald Lyke's countywide judicial candidacy are planning a Campaign Kick-Off on Tuesday, September 29, from 5:00 to 7:30 p.m., at the Rosebud, 70 W. Madison. Tickets for the event are $250 each, but "young professionals" (i.e., lawyers in practice for fewer than five years) can purchase tickets for a discounted price of $100. Sponsorships are also available (Friend - $500, Supporter - $1,000, Host - $2,500, and Sponsor - $5,000). Among those planning the Judge Lyke's Kick-Off Reception are Joe Power, Larry Rogers, Sr., Louis Cairo, Larry Rogers, Jr., Judge David Erickson (Retired), and Justice Marcus Salone (Retired). For more information, or to order tickets, call (312) 854-8018 or visit the event page on Judge Lyke's website. The Democratic Committeemen of Cook County's 6th Judicial Subcircuit met yesterday and agreed to endorse Richard C. Cooke for the Gonzalez-Santiago vacancy and Carlos Claudio for the "A" vacancy, according to multiple FWIW sources. Also appearing before the 6th Subcircuit Committeemen, according to an FWIW source, were, in addition to Cooke and Claudio, Judge Anna Loftus (who currently holds the "A" vacancy pursuant to Supreme Court appointment), Ed Underhill, Eulalia (Evie) De La Rosa (the immediate Past President of the Puerto Rican Bar Association of Illinois) and Ricardo Lugo (who ran for a 6th Subcircuit vacancy in 2012). A campaign website has been established for Judge Devlin Schoop, recently appointed to (and recently slated by the Democratic Party for) the countywide Karzenis vacancy. That's a link to Judge Schoop's campaign website in the preceding sentence; a link has been added to the blog Sidebar. Schoop's website notes that Schoop was a partner in the law firm of Laner Muchin, Ltd. immediately prior to becoming a judge, "where he represented people, businesses, and local governments in commercial, employment and civil rights cases." He began his legal career, according to the campaign website, as a law clerk to U.S. District Court Judge Blanche M. Manning. Before his appointment to the Circuit Court, Judge Schoop was appointed "a Hearing Officer on the Hearing Board of the Illinois Attorney Registration and Disciplinary Committee (ARDC), which is responsible for investigating and adjudicating allegations of attorney misconduct." In 2011, according to the campaign website, Schoop became a Panel Chair. According to the campaign website, Schoop also served on the Associate Board of the Jane Addams Hull House Association and as a member of the Board of Directors for the Center for Conflict Resolution. Schoop has served as a member of the Local School Council for Esmond Elementary School, and has been active with the homeless feeding mission sponsored by the United Methodist Men’s Group of the Morgan Park United Methodist Church. 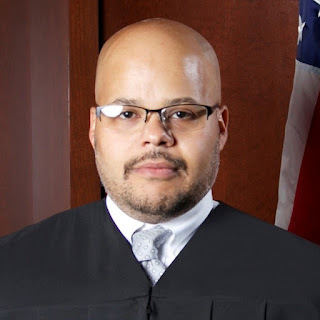 Judge Schoop is a graduate of Chicago's Whitney Young High School, the University of Illinois at Chicago, and the University of Illinois College of Law. Michael Malatesta is apparently circulating petitions for the Howard vacancy in the 10th Subcircuit. There's no campaign website yet (not that I could find) but there is a campaign Facebook page and that is what the link in the preceding sentence will take you to. Licensed as an attorney in Illinois since 2002, Malatesta heads the Malatesta Law Offices in downtown Chicago. Supporters of Judge Eileen O'Neill Burke's campaign for the Appellate Court have scheduled a fundraiser for their candidate on Thursday, September 24, from 5:30 to 7:30 p.m. at the Tradition Bar, 160 North Franklin Street. Tickets for the event are priced at $150 apiece. Sponsorships are available (Silver - $300; Gold - $500; Platinum - $1,000). The Cook County Democratic Party recently endorsed Judge Burke for one of the two available Appellate Court openings. The Illinois State Board of Elections has released the official list of judicial vacancies, this one current through August 17. The only additions to the list that has appeared here before are for the Savage vacancy in the 2nd Subcircuit and the Rivkin-Carothers vacancy in the 7th (the Rivkin-Carothers vacancy having been filled just last week). That doesn't mean there won't be more. There probably will be a couple of more, anyway. But these are the vacancies that exist now, along with the identity of the person currently appointed to each vacancy. A campaign website has been launched for Judge Edward J. King. That's a link to the campaign website in the preceding sentence; a link has also been added to the blog Sidebar. The Illinois Supreme Court appointed Judge King to the Kunkle vacancy in the 4th Subcircuit in October 2014. He was licensed to practice law in Illinois in 1981. According to his campaign website, before taking the bench, King's private practice "focused on personal injury, chancery, estate, and criminal matters." In addition, King worked as the attorney for the Township of Lyons for nearly 29 years. From 1988, according to the website, King also served as a special assistant attorney general handling eminent domain matters. He worked as a volunteer attorney for the Lyons Township Mental Health Commission for 25 years. King holds bachelor's and master's degrees in journalism from Northern Illinois University. He served in the United States Marine Corps in both active duty and reserve roles between 1970 and 1976. His J.D. was conferred by John Marshall Law School in 1981. King and his wife are the parents of four children. Tenth Subcircuit Democratic Committeemen have named criminal defense attorney Stephanie Saltouros as their candidate for the Howard vacancy in that subcircuit, bypassing Judge Eve M. Reilly, who was appointed to that vacancy by the Illinois Supreme Court. According to an FWIW source who was present for the slating meeting, held Monday night in the banquet hall of Moretti's Ristorante & Pizzeria in Edison Park, Saltouros, Reilly and five others (Deidre Baumann; Richard G. Cenar, Jr.; James Patrick Crawley; Colleen Reardon Daly; and Katherine A. O'Dell) sought the endorsement. In addition to slating Saltouros, the 10th Subcircuit Slating Committee, chaired by 41st Ward Committeeman Mary O'Connor, named Judge Reilly as first alternate. This means that the Democratic committeemen in the 10th Subcircuit have voted not to support Judge Reilly if she runs to keep the seat she now holds, but if another 10th Subcircuit vacancy opens up in time for the 2016 Primary, the Party will support Reilly for that vacancy.